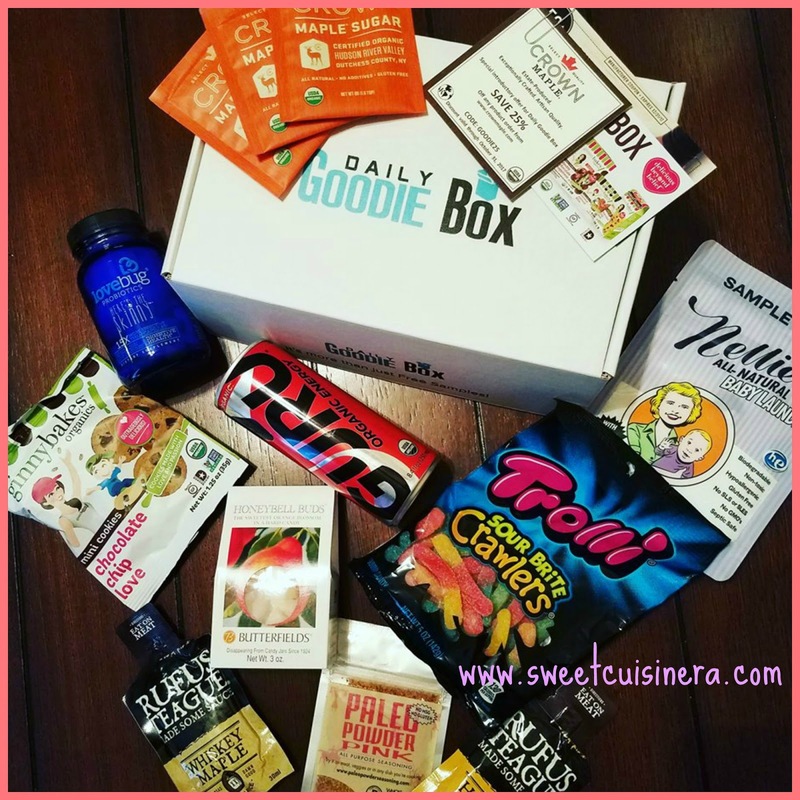 Daily Goodie Box is just AWESOME! I'm so grateful to Daily Goodie Box for being so generous as always. Yup, that's right another awesome Daily Goodie Box for the month of September arrived two weeks ago. I couldn't be more excited! A lot of wonderful products that I'm super excited to try and I spotted few of my favorites already. 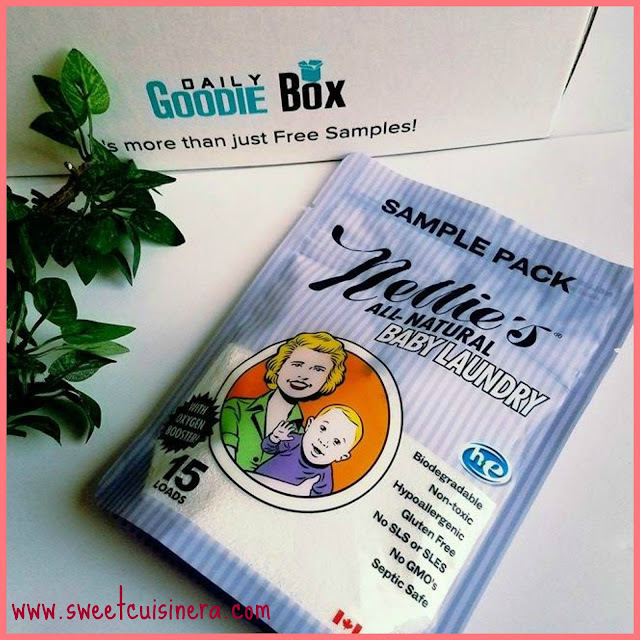 This is going to be fun and exciting product reviews for all of you because Daily Goodie Box is just simply awesome. 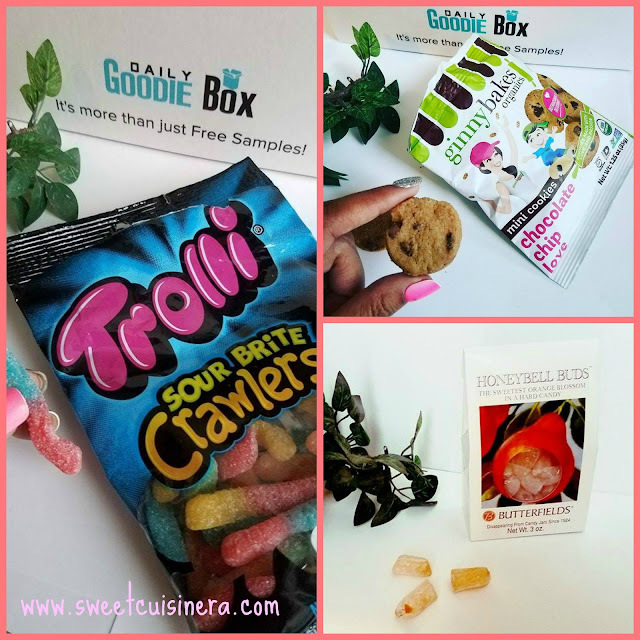 Check out two of my recent blog post for July Daily Goodie Box and August Daily Goodie Box. Best thing about Daily Goodie Box- shipping is FREE and No Credit Card required EVER. Lets start with my newest favorite GinnyBakes - Chocolate Chip Cookies- this is absolutely delicious! A cookies made with love and passion, gluten-free mini cookies, non- GMO, and its organic. WE so LOVE this cookies! perfect for snacks paired with a glass of milk. Yum! I highly recommend this product. It's simply delicious! Moving on to the next product! Lets all say hello to Rufus Teague - Made Some Sauce these two samples the I received taste scrumptious. This stuff is so awesome and perfect for barbecue's. Rufus Teague also offers other products which great for your cooking essentials. Check their website HERE. I highly recommend these products to everyone. 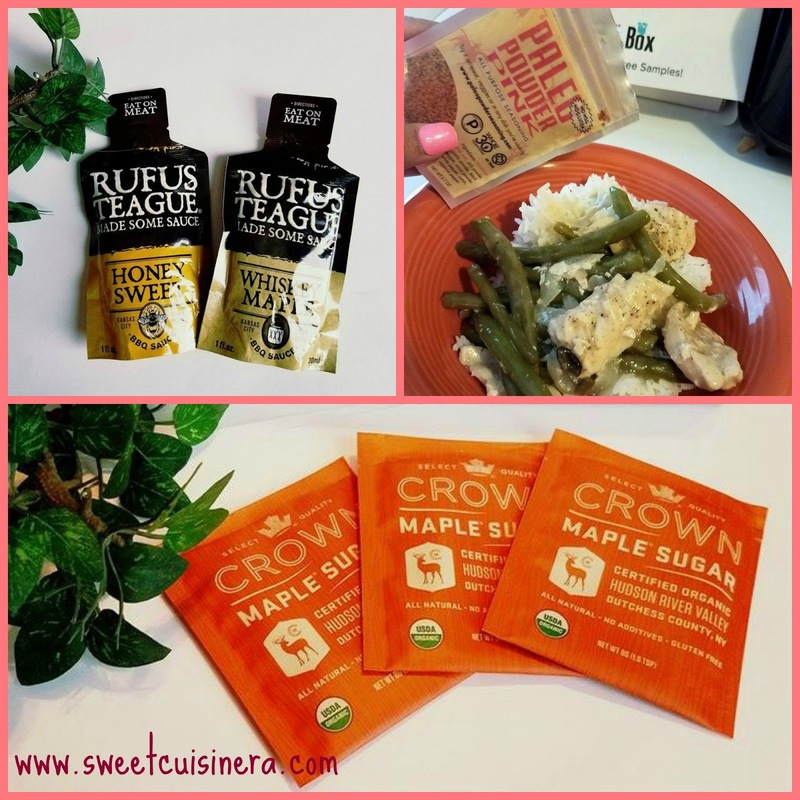 Looking for all purpose seasoning? Look no further because this Paleo Powder - Seasoning is all you need. As first time used of this product. I was totally impressed with the result. It's great seasoning for meat, veggies or any dish you're cooking. As foodie, this all purpose seasoning is all what I need. A must-have item for sure. I love this product! 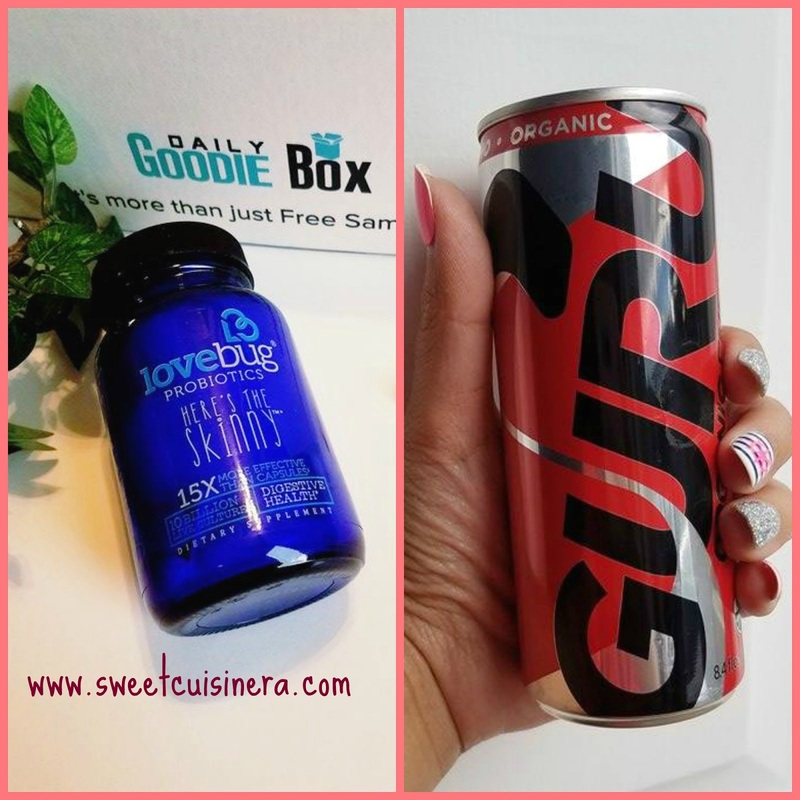 Next on the list is this GURU - Organic Energy Drinks I would never thought that this product exist until Daily Goodie Box sent me one. This is really exciting because this Guru Organic drink taste so good! Did you notice the packaging of the product? It look so catchy and cool. Disclosure: I received Daily Goodie Box for free to review. Opinion expressed are my own. Thank you Daily Goodie Box for these wonderful goodies. I fell in-love the first time I was at Maine. It was such a great vacation that I'm thinking going back there next year (hopeful). I know, sometimes I get little obsessed but to tell you- I missed being at Maine-the place was just incredible, relaxing, full of adventures awaits, and breath-taking views. On top of that, wild Maine blueberries is everywhere. Yes, literally everywhere! 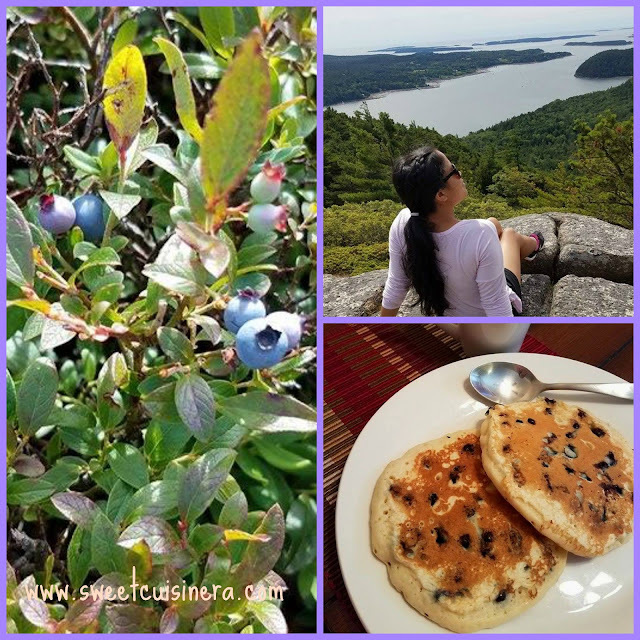 So, I helped myself and grabbed blueberries while we we're at Cadillac Mountain & Acadia Mountain. 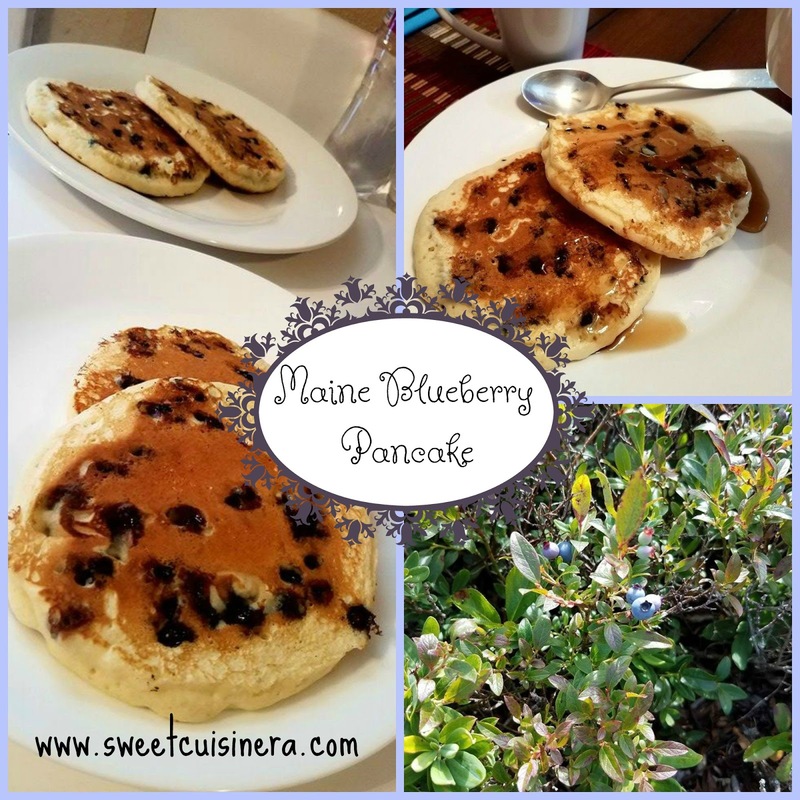 So, today's pancake recipe is inspired by this delicious Maine Wild Blueberries. Notes: On this recipe I used store bought pancake mix and frozen wild Maine blueberries. 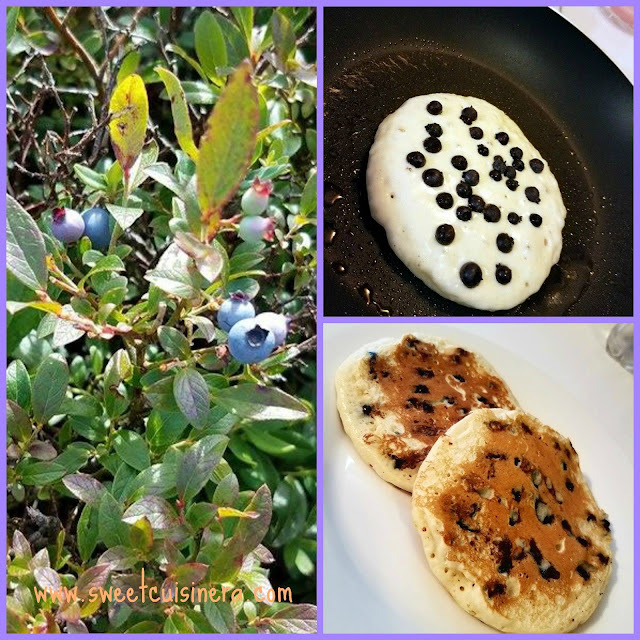 Feel free to use any homemade pancake batter recipe and either fresh or frozen blueberries on hand. 3.) Then, add frozen blueberries on top of the pancake. Turn pancakes when tops are covered with bubbles and edges looks dry. Turn only once and cook the other side for about a minute. 4.) When little bubbles appear on the pancake, then its ready to flip. Wait for another minute until the other side is cook.